How can a company experience sustainable, long-term success? Today, top-of-mind for great companies include the likes of Google, Salesforce, Nike, and Berkshire Hathaway. The challenge to every business leader is to build a great company as defined by its people, results and culture. Today’s leadership is under extreme pressure to meet business goals in such a volatile environment, to be agile enough to withstand the accelerating pace of change, and to have a team of high performers dedicated to the company for the long run. Impact of Culture on business results can be 20-30% more vs control and must not be underestimated. An organisation that is agile is built to adapt to constant changes and uncertainties. Engaged employees are emotionally committed to go above and beyond for their work. Culture influences behaviours, actions, and decisions in a company. It is not a by-product but rather a deliberate and strategic undertaking. Culture is seen to have direct impact on performance, engagement, innovation, agility, and the ability of an organisation to learn, grow, and adapt. Culture is the overlooked factor in overcoming business challenges. At the foundation of every business culture is the element of trust. Trust is the key to a culture that promotes success, whether an organisation is striving for excellence, innovation, or growth. Culture is to a company what soil is to a plant. Good soil nurtures the seeds, influencing how the plants grow, develop, and bear fruit. Building your company culture allows you to create good soil for your organisation. Your culture becomes a reflection of your organisation’s values, enabling practices, behaviours, and attitudes that are healthy and life-affirming. 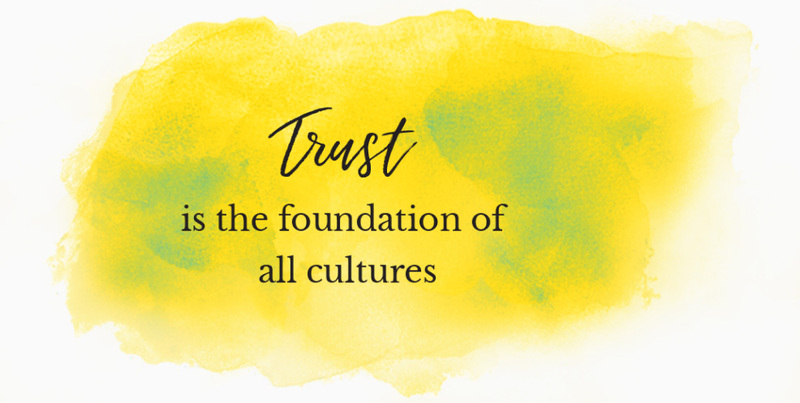 Cultivating a culture of trust is a deliberate undertaking requiring organisation-wide commitment and participation, starting from the top. Culture is not built overnight but requires long-term investment and nurturing. It is intentional and the know-how can be acquired. Vision and values of the organisation are clear, inspiring and communicated. Staff resonate with, and are moved by the vision and purpose of the organisation. Staff values are aligned to the organisation's, and embraced and lived out. The leader recognises that leadership is first designed to serve; a leader is humble, authentic, self-aware and secure, and thus able to earn trust. A rare balance of being tough-minded yet tender-hearted; both courageous and caring. An ability to resolve relational/people conflicts, skilled in restoring and building trust. Staff who are passionate, skilled in what they do and meet the organisation’s needs. Their leaders trust, develop and empower them. People are free from fear, and are innovative, entrepreneurial and resilient. 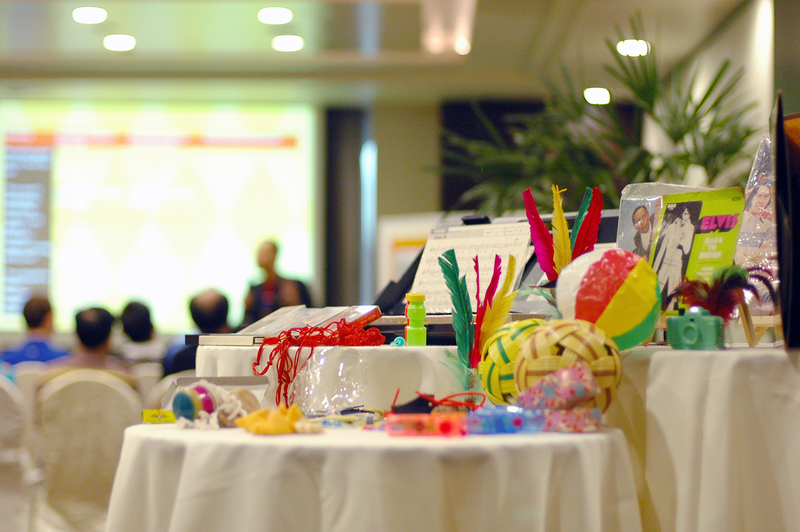 We helped a global insurance company embrace and live out their value on customer-centricity through a company-wide values alignment workshop. We helped a leading urban solutions provider clearly communicate their values through an organisation-wide values intervention spanning several countries. We helped an IHL in Singapore build culture advocacy through staff engagement and alignment of organisational goals and vision so that everyone in the IHL resonates with & is moved by its vision and purpose. The ROHEI work ethic demonstrated by every staff member is truly an example of the culture that every organisation wants to build. You feel hosted by the entire team when you hold a programme at ROHEI. After the programme, staff and managers alike started to embrace our company core values in their leadership, which was seen in their daily communication and work execution. All these also led to improvements in our staff engagement, reduction of staff turnover and greater cross functional collaboration towards common business goals.